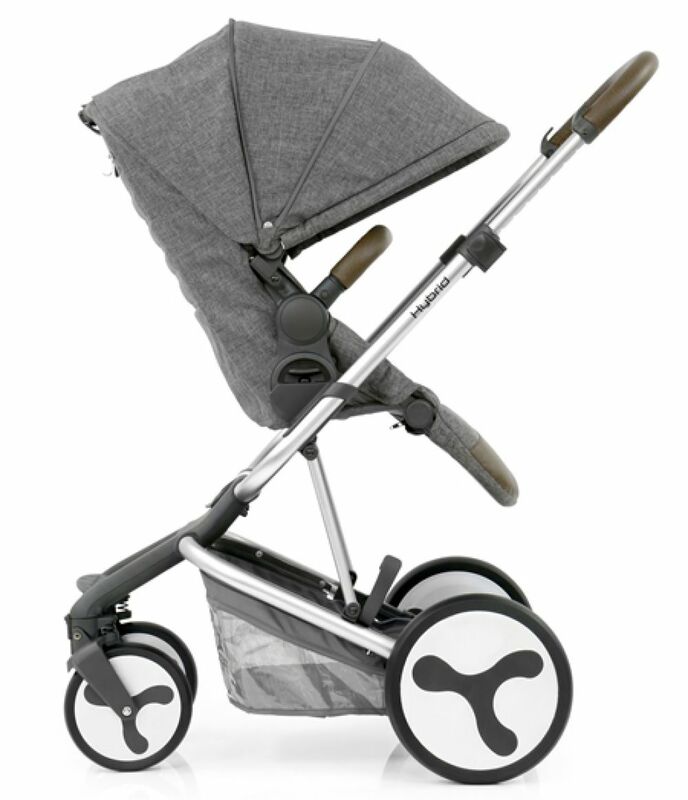 As the first stroller of it’s kind, the Hybrid Edge has been designed to offer parents that extra point of difference. 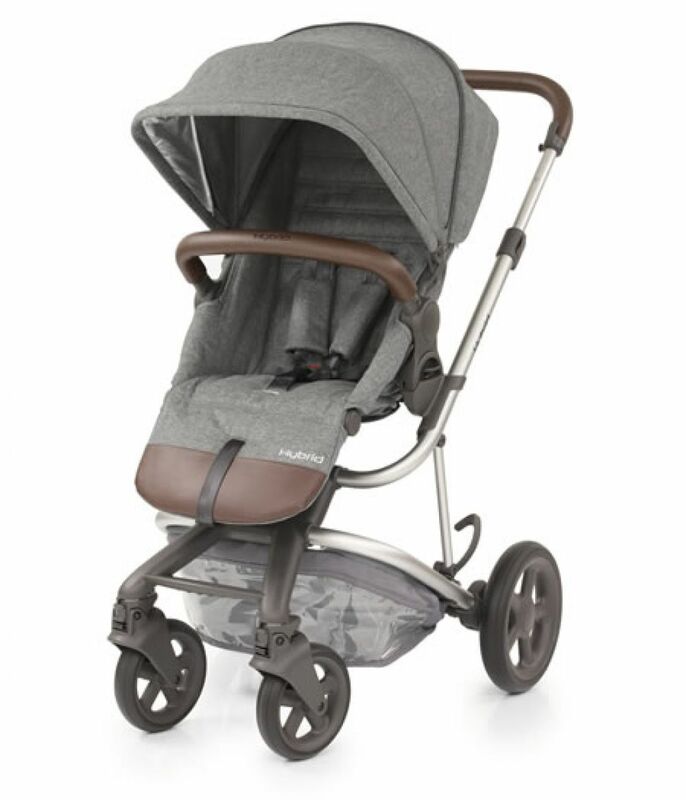 A beautifully designed chassis with 12 position handle adjustment, the stroller features an XL extendable hood with an additional flip-out reflective sun visor and built in ventilation net. Optimising safety, the Edge integrates a car seat style one-pull padded harness, allowing parents to adjust straps effortlessly. The Edge has all-round suspension and puncture-free PU rubber tyres for an enjoyable and smooth ride. 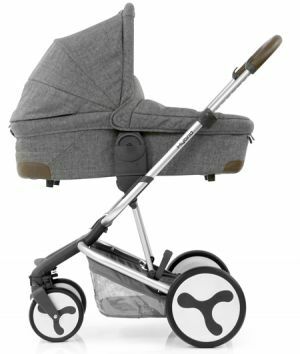 Edge can be set up in a several modes of use including a pram (with optional carrycot) and travel system (with optional car seat); Edge uses a standard Hybrid rear axle. With a unique design, the beautiful lightweight aluminium chassis stands proud with minimalist straight lines. Both the telescopic handle bar, which caters for all heights with 12 adjustment positions, and gate opening bumper bar are covered by soft-touch hand-stitched leatherette. Innovatively engineered, Hybrid is not only a 3-in-1 pram, pushchair and travel system, but is three strollers in one. Engineered to adapt to parents’ needs, the Hybrid can be converted from a single Edge stroller to a compact Tandem stroller for twins or siblings, or can be downsized to a City stroller which is just 55cm in width, all just by a change of the rear axle. When not in use, Hybrid will fold compactly and easily for quick and convenient storage. The front and rear wheels also operate on a quick-release system, should they need to be removed for storage or travel. 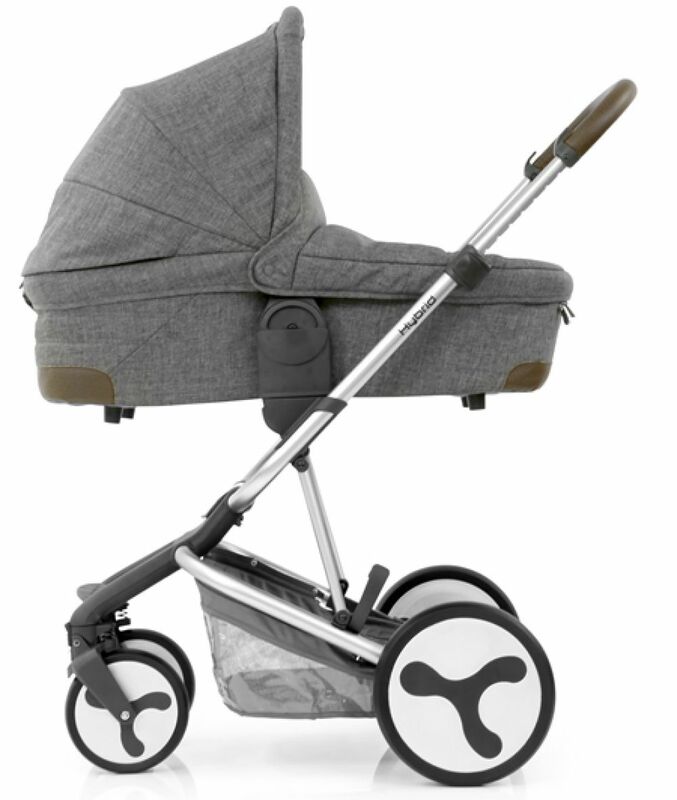 Particularly useful during transit, there is a travel-lock which automatically engages when the stroller is folded and keeps the chassis closed. For convenience, the Hybrid stroller can be folded with the changing bag in the shopping basket and upper seat unit on (in both parent and forward facing positions – smaller when forward facing), but is best folded when the seat is detached from the chassis. The Hybrid seat has been designed purely for comfort for your little passenger and convenience for you. The deep and softly padded seat reclines to 4 different positions and the calf rest has 6 different adjustments. The extra large hood is easy to extend and the included pull-out sun visor adds extra safety by offering UPF 50+ sun protection. A ventilation net has also been built into the hood to help with air circulation and to keep your child cooler in warmer weather. 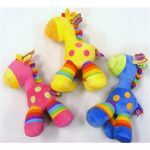 The ease of use and safety of the Hybrid seat is then finished off with an ingenious car seat style harness which is a far cry from the fiddly harnesses on other strollers. Removing the seat is quick and easy to do and the seat can be changed to a world facing or parent facing position in the blink of an eye. Innovatively engineered, Hybrid is not only a 3-in-1 pram, pushchair and travel system, but is actually three strollers in one. Engineered to adapt to parents’ needs, the Hybrid can be converted from a single Edge stroller to a compact Tandem stroller for twins or siblings with a combination of carrycot and seats or two seats as baby gets older.